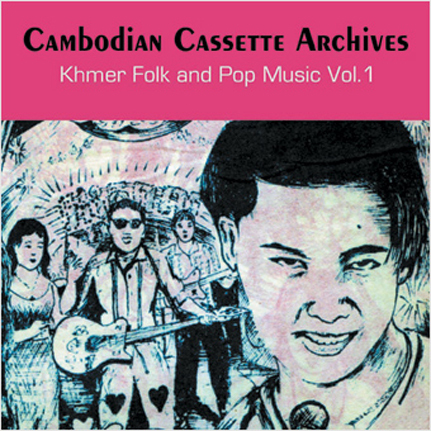 An unbelievable collection of dynamic Cambodian music recorded between the 1960s and the 1990s, both in Cambodia and in the United States. A truly Khmer blend of folk and pop stylings - Cha-Cha Psychedelia, Phase-shifting Rock, sultry circle dance standards, pulsing Cambodian new wave, haunted ballads, musical comedy sketches, Easy-Listening numbers and raw instrumental grooves presented in an eclectic variety of production techniques. Male and female vocalists share the spotlight, embellished by roller rink organ solos, raunchy guitar leads and MIDI defying synthesizers. Culled from over 150 ageing cassettes found at the Asian Branch of the Oakland Public Library in California, these recordings showcase a pre and post holocaust Cambodian musical lineage that can't be ignored.